Dogs communicate with us in their very own way. For example, most people know that when a dog has his ears back he is telling you to stay away. There are several different signs that dogs give us to let us know what they are thinking. 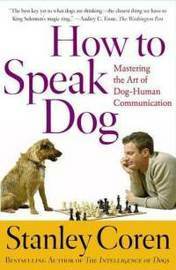 Learning what your dog is trying to say is not a science. You simply have to pay attention to your dog’s very subtle signs and cues. In addition to those dog signs, there are other tail wagging behaviors that can indicate if your dog is fearful or happy. Have you figured out your dog’s own signs yet?